Former Governor Terry McAuliffe pardoned a record number of prisoners, but hundreds are still waiting. Terry McAuliffe pardoned more people than any other governor in state history, 227 to be exact. That’s three times as many pardons as his predecessor, Bob McDonnell, issued. Among those being freed under close supervision was a man sentenced to 132 years for an armed robbery in which no one was injured, a woman who got 30 years for distributing $80 worth of crack cocaine, and a man who at age 15 joined two older guys in a robbery. The prosecutor offered a 14-year sentence if he would plead guilty. He insisted on going to trial and ended up with several life sentences. In each case, McAuliffe said, serious consideration was given. “First of all I have a whole team that reviews this – lawyers, law enforcement. I’ve added a whole new team of investigators, which are retired state police officers,” he says. That brought the total to seven part-timers who check-out petitions for pardons, not enough, McAuliffe admits, to process the 15-20 requests that come in each week. Under Virginia law, a person can only get a new trial if DNA proves he or she is not guilty, leaving some innocent people with no option but a pardon. “The most conservative estimate that I’ve seen is 4%. That there are roughly 100,000 innocent people in U.S. prisons,” says Jens Soering, a prisoner at the Buckingham Correctional Center. He was convicted of a double murder more than 30 years ago. Since then he has maintained his innocence, and many people, including the Sheriff of Albemarle County, the original investigator on the case, and the University of Richmond’s Institute for Actual Innocence, agree. None of his DNA was found, but two genetic scientists now say there was blood at the crime scene from two unidentified men, so 17 months ago Soering asked for a conditional pardon. “The legal standard is if the trial were held today, the jury would not convict,” Soering explains. The application was more than 1,200 pages long, including documents, official reports and letters from various experts. 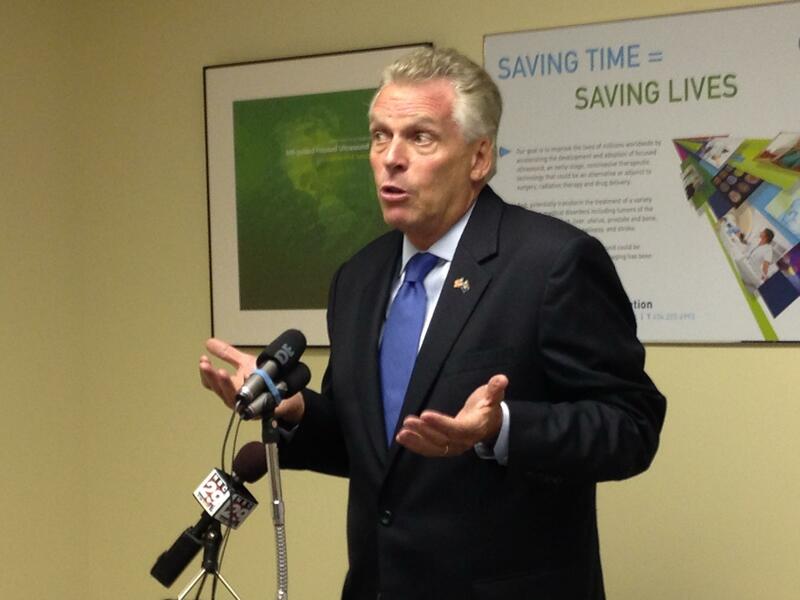 Last fall Governor McAuliffe assured us he was considering a pardon for Soering. Some Republicans have insisted Soering is guilty, but McAuliffe claimed politics would not be a factor in his decision. “I’m going to do what I think is right, and the chips fall where they may. I don’t care,” he said. So what did he conclude, a year and five months after receiving Soering’s request? “That is now being investigated as we speak, so I never interfere in the investigative process,” the Governor told us just before leaving office. Now, Soering awaits a decision from the new governor – Dr. Ralph Northam, whose wife taught science. Wednesday, we look at one of more than 500 other cases where McAuliffe refused a pardon or made no decision.